access to an online payment method. What type of home internet connections are available? There are two popular ways of getting the internet in your home. Please note: If you are living in a remote or rural region you may not be able to access these ways of connecting. In these cases you will need to connect to the internet via satellite. Contact your ISP or telecommunications provider for more information and get your home connected. Mobile internet access relies on mobile phone networks. This means that you can access the internet anywhere, not just in your home, with a mobile phone signal. Be careful though, as it can be 4-10 times more expensive than accessing internet via cable or phone line. Bear in mind that your coverage and speed of downloading web content is based on your mobile phone coverage. Internet using a cable or landline is much more affordable as it uses fixed lines. 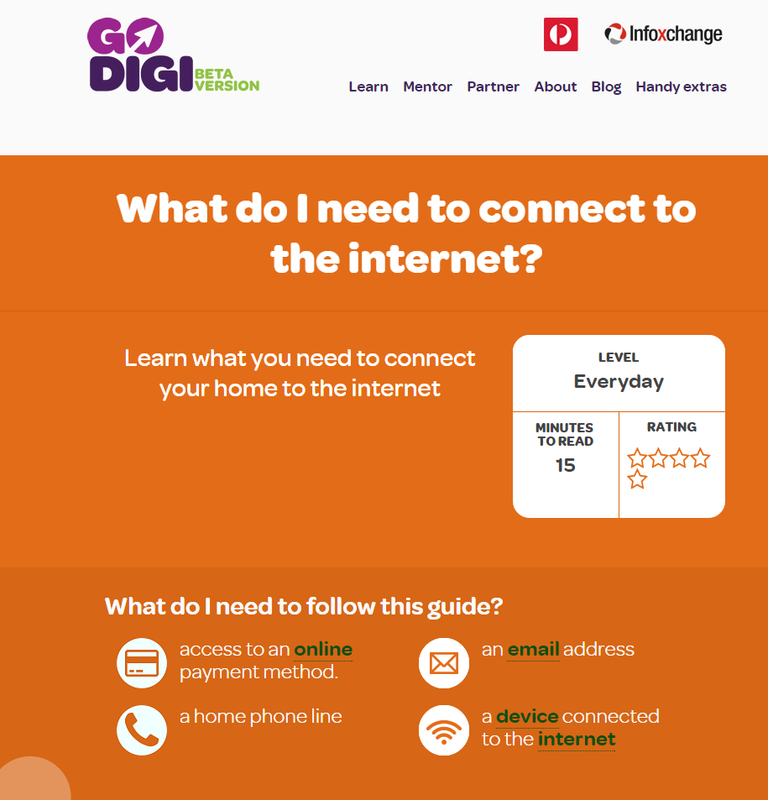 For this reason, this guide will describe and explain how to connect to the internet via a landline or cable. Why get your home connected to the internet? avoid the inconvenience of going to the library or other public place to use the internet. This guide will explain the different types of internet connections available. Most modern devices are capable of connecting to the internet either via cable or via wireless network. 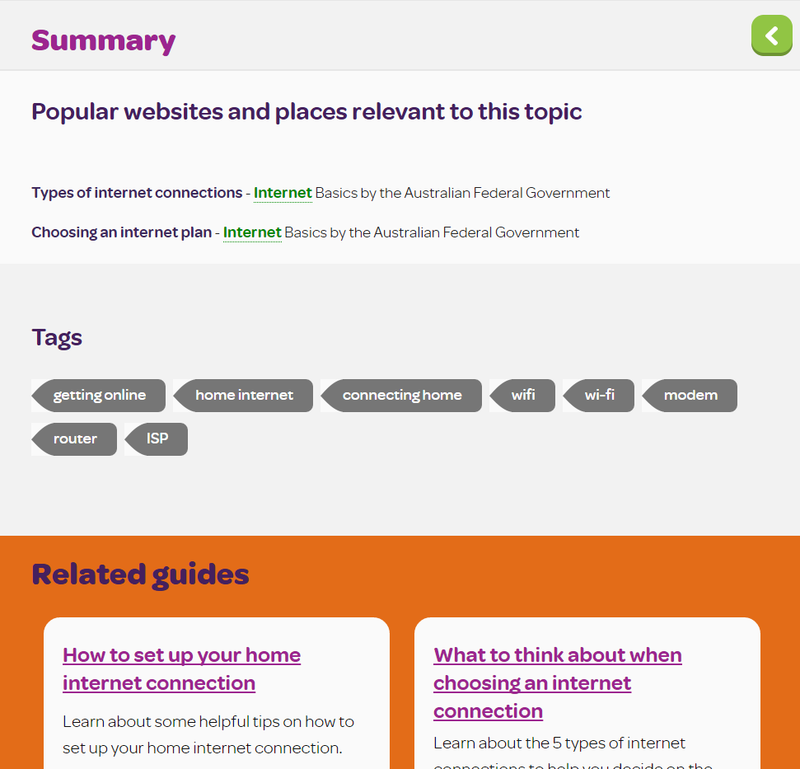 There are 6 types of internet connection available to households in Australia. These are available to Australian households through various Internet Service Providers (ISPs) and telecommunications companies like Telstra, Optus, TPG and iiNet. 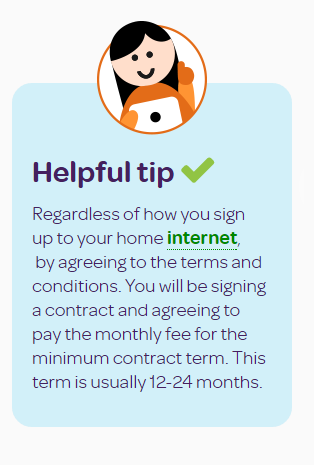 *Please see the above section regarding connecting your home to satellite internet. Dial-up - internet uses an active phone line connection to connect to the internet. Whilst you are connected to the internet you will not be able to make calls on your home phone. ADSL or ADSL2+ internet uses an active phone line connection to connect to the internet. You can use your home phone at the same time as being on the internet to make calls. ADSL is the slower of the two types of ADSL2+. However, if your home hasn’t had a telephone line connected in the last 2-5 years, this will need to be connected again. This process can be expensive. After your phone line is connected, a monthly phone line rental fee will need to be paid in order to get and maintain an ADSL or ADSL2+ internet connection. Naked ADSL, Naked ADSL2+ internet uses an existing phone line to connect to the internet. The reason it is called naked ADSL is that you do not have to pay the monthly phone line rental fee like ADSL and ADSL2+, and, that as the telephone line does not share the connection to your house, the internet speed is usually faster, and the connection is more stable. However, if your home hasn’t had a telephone line connected in the last 2-5 years, this will need to be completed again. This process can be expensive. However once the phone line is installed you will not have to be monthly phone line rental fee to maintain your naked ADSL connection. Cable internet uses a special cable to provide internet to your home. It does not rely on the phone line network, so it can be more reliable than ADSL services. However it is more expensive because it has its own special cable which means it will need to be installed into your home. Please note: Once the NBN has been rolled out in an area, all residents of this area generally have 18 months to connect to the NBN. 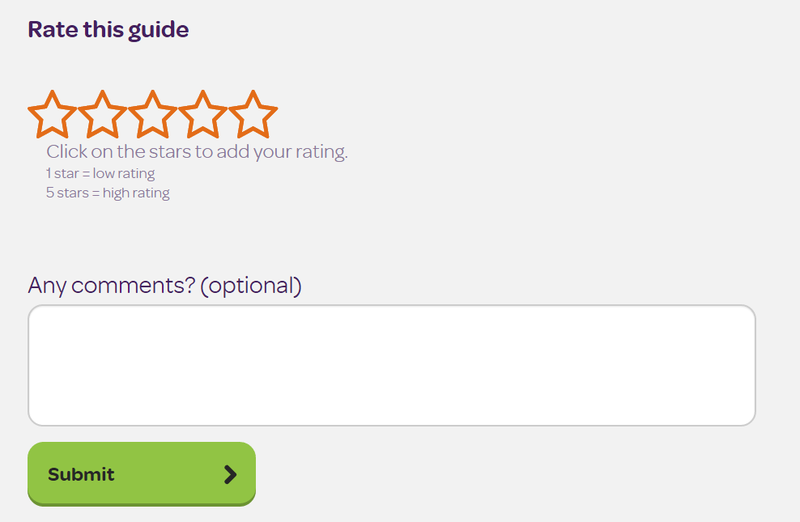 Double check what's happening in your area on the NBN website. There are 5 different ways you can connect your home to the internet. 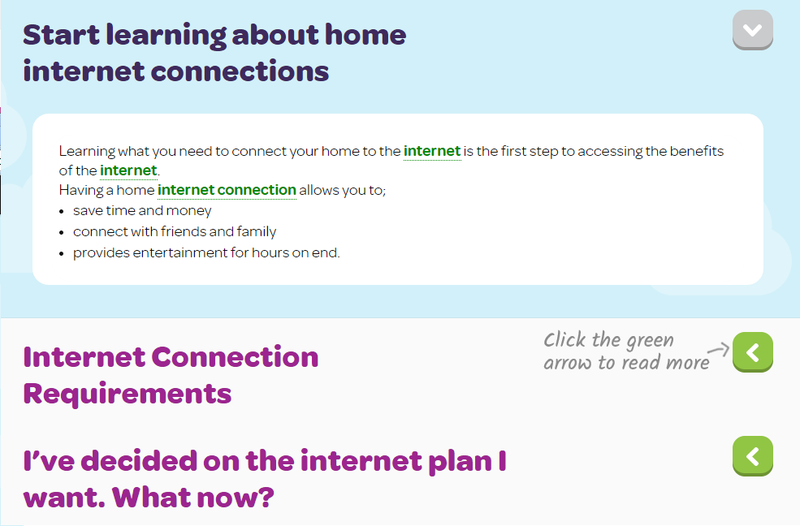 Now that you understand a bit more about the different connections check out our next guide on how to connect your home to the internet.